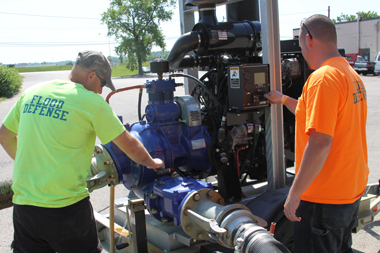 Allied provides electric self-priming trash pumps in the same models as self-priming diesel trash pumps for Kentucky, Ohio and beyond. Electric models operate efficiently, offering the same durability, reliability and performance as their diesel counterparts. 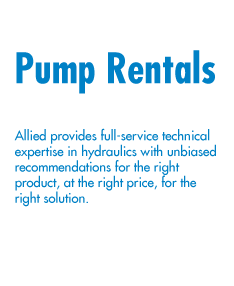 While we love our self-priming sewage pumps, sometimes the job calls for something else, like a submersible pump. And sometimes little jobs pop up out of nowhere, like when the water table is a lot higher than you were told it was. In those cases, it’s great to have a small pump already in the back of the truck along with all of your regular equipment. They are easily moved, quick to get going and don’t take up as much room in the bed of your truck. And best of all they are inexpensive. With both dewatering and solids-handling models, make plans to get one for yourself. If you would like to “kick the tires” first, you can always rent one first and buy it when you see how much you like it. When electricity is not readily available, we can also provide diesel-powered generators to power the pump.